First, a Veterans Day salute to all Vets. And of course to my Son-in-law, my Nephew, my Dad, my uncle Frank and uncle Bob. And to the list sent around our engineering department at work, listing all the vets. I will send them my thanks later. And of course I’ll be getting down to Arlington soon to pay my holiday visit to Mom and Dad. I thought this shot might be appropriate for today. As I walk Arlington sometimes I come across headstones like this. This solider may be gone but from the visits made and the messages left, he is not forgotten. 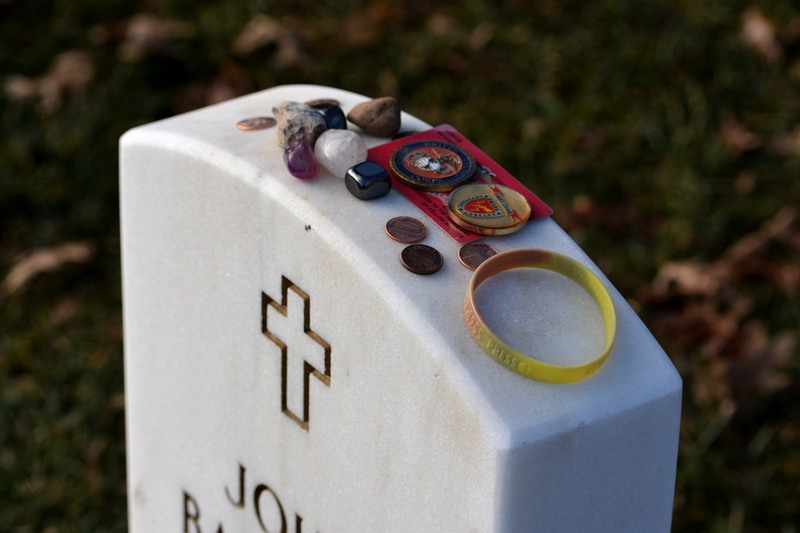 So maybe if you’re ever fortunate enough to visit a cemetery of Veterans, pull a penny or two out of your pocket and leave it on a headstone or two, to say you gave your respects at a visit. Again, many thanks and ultimate respect to Vets.